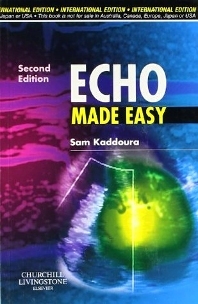 This best-selling and highly-praised book provides a practical and clinically useful introduction to echo. The author explains the echo techniques available, what an echo can and cannot give, and, importantly, puts echo into a clinical perspective. The sections are ordered with the techniques most often used to diagnose a particular clinical problem explained first. The final chapter deals with special clinical situations. This highly-praised book is a simple guide to a difficult subject, written in a conversational and accessible style. It is essential reading for anyone wishing to learn about echo - doctors, technicians, medical students etc. It provides full practical coverage of the clinical aspects of heart disease. It will be of great use to those experienced in echo as a refresher and reference source in pocket-size.